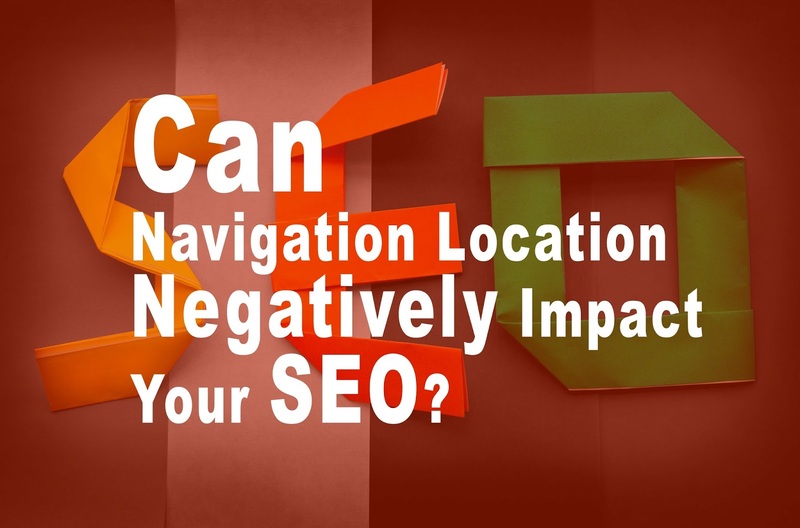 Can Navigation Location Negatively Impact Your Blog's SEO? It's one of the most common questions that I get to see on #AskHassam Facebook group where brothers and sisters ask about how the placement of blog's navigation bar could affect their SEO. What if they place the navigation bar anywhere else apart from the top and how it could affect the blog's search engine optimization. (SEO). Let's get right into the question. The placement of blog's navigation bar doesn't need to be at the top, to avoid negative SEO. Though that being said, note that search engine crawlers go through your blog's code from top to bottom and anything that comes first gains attention. Much like how the header section gains more attention in the eyes of search engines compared to how footer of a blog or a website is tackled. Though my advice on this would be to know the power of reading your blog's stats how readers are actually playing with it. If you yet haven't tried a heat map on your blog, you can go check out how 'Crazy Egg' heat map tool could help you out in this regard. If you're looking forward to replacing the top navigation with a call to action (CTA), like taking your blog's readers towards a landing page that aims to sell a certain product of yours, you can surely do that. Though keep in mind, that navigation plays a vital role on any website or a blog. Users come by and first look for navigation and get an idea of what the site has to offer. So my take on that would be to use any navigation design that goes in the sidebar atleast like slideout navigation so that the user gets to see the internal links of your blog in 'above the fold' section of your blog. Above the fold area is all the section of your blog that shows up to the reader without them doing any scrolling down. The best way is to test your reader's behavior and how they interact with different UI changes on your blog. You can see how users flow gets effected using Google Analytics too. One of the most important advice I could give is to stop designing your blog's navigation, keeping in mind how it will affect your 'link juice distribution'. Meaning by that how search engine authority of a particular page on your blog would get effected by linking it up on the home page (that has the highest authority generally, in the eyes of the search engines). Keep your readers in mind and design your navigation as to what will help them the most. Ask yourself? What if you landed on your blog for the first time? What would you be looking for? Previously people did all sort of things to manipulate search engine authority of a particular page on their blog or a website, though it's clear that if your content offers the purpose of why it's there in the first place, you'd see how it would rank up in the search results automatically. Simply focus on what value your blog/website offers to your visitors? Why should they be on your blog? Is your content interesting? Do you publish out fresh content frequently? Is your blog easy to grasp? Design your blog's UI navigation keep in mind all those questions and you won't have to worry much. Bring out the best of your website/blog in your navigation, even if it's in the slideout style in the sidebar. Hope that helped you out. If you have any questions, you can leave them in the comment section below. BloggingeHow | Making Blogging Simpler: Can Navigation Location Negatively Impact Your Blog's SEO?